While you may be well aware that smoking can cause a host of health issues, you may not realize how damaging it can be for your oral health. Here, our Calgary dentists explain how smoking can negatively impact your teeth, your gums, and your whole mouth. One of the many effects of smoking is stained tooth enamel. The nicotine and tar in the tobacco can make your teeth turn yellow in very little time, and long-term or heavy smokers often notice that their teeth begin to turn brown. All tobacco products cause unpleasant odours in the mouth. In addition though, smoking can dry out your mouth. The lack of saliva makes it more difficult for your mouth to wash away odour-causing bacteria, leaving a stale film on teeth and gums. Smoking cigarettes dulls taste, making food less palatable. The toxic chemicals in cigarettes cause taste buds to lose their shape and become flatter, through a process known as vascularization. This eventually makes them less sensitive to taste. Cigarette smoke contains lots of tar and chemicals, and this can make your immune system less effective when it comes to fighting off infections like gum disease. In addition, smoking kills off the beneficial bacteria in your mouth, allowing disease-causing bacteria to flourish, resulting in a greater risk for both gum disease and tooth decay. Finally, tobacco products can damage your gum tissue by affecting the attachment of bone and soft tissue to your teeth, resulting in gum recession. The carcinogenic chemicals in cigarette smoke can cause genetic changes in cells of the mouth. This can lead to the development of oral cancer. 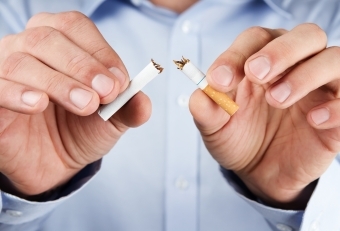 If you are ready to quit smoking, your dentist at Deer Valley Dental Care in Calgary is here to help. 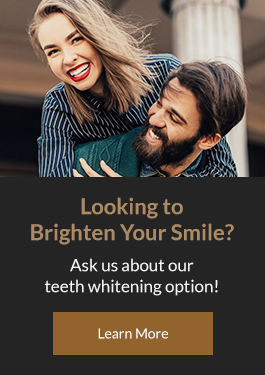 Contact us today to book a consultation!